Soft plastics from about 200,000 plastic bags and packaging, and 63,000 glass bottle equivalents will be diverted from landfill to construct a Victorian road. Hume City Council and Downer have partnered with resource recovery and recycling companies Close the Loop and RED Group for the Australian-first trial. 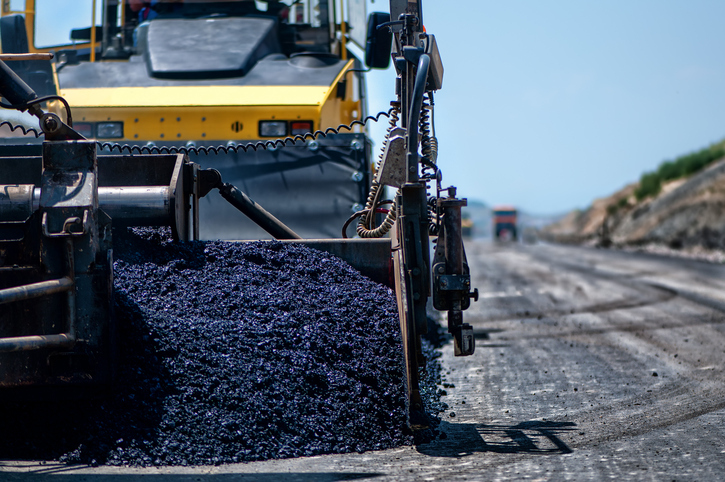 Along with soft plastics and glass, toner from more than 4500 used printer cartridges and 50 tonnes of recycled asphalt were also repurposed to create 250 tonnes of asphalt that will be used to construct a road in and around Rayfield Avenue, Craigieburn, located in Melbourne’s north. Downer’s Executive General Manager Road Services, Dante Cremasco, said the milestone event showed that partnerships with other thought leaders can create economic, social and environmental value for products that would more than likely end up in landfill, stockpiled, or as a pollutant in our natural environments. “Together with Hume City Council and our partners, we have proven that with thought leadership and a determined effort to make a positive difference, we have set a new benchmark in our industry when it comes to sustainability by creating new avenues to recycle and repurpose waste materials into new streams of use. It’s all about pulling product, not pushing waste,” Cremasco says. “What is also pleasing to see is that this sustainable, cost competitive road has a 65 per cent improvement in fatigue life and a superior resistance to deformation making the road last longer, and allowing it to better handle heavy vehicle traffic,” Cremasco added. Hume Mayor Geoff Porter says the council is proud to join Downer and its partners in the Australian-first trial. “Hume City Council is very proud to be home to Australia’s first road which sees soft plastics and glass diverted from landfills and repurposed to create local roads,” Porter says. Downer partnered very closely with Close the Loop and RED Group to tailor waste products such as soft plastics to suit a road construction application. “Our close partnership with Downer and RED Group has allowed us to work collaboratively to improve the way we design and manufacture sustainable outcomes for waste that has meaningful uses. We are very pleased to set yet another industry benchmark, seeing soft plastics used for the first time in an Australian road,” says Nerida Mortlock, General Manager of Close the Loop Australia.